Tap o’ Noth Permaculture, an ecologically designed smallholding situated in Aberdeenshire, has recently joined the global network of Permaculture Research Institutes (PRI), becoming the first PRI accredited demonstration and education centre within the UK. This expanding network of education sites began in Australia and now links the UK with other PRI sites across the globe in as varied locations as New Zealand, USA, Canada, Jordan, Barbados, Chile, Ethiopia, Greece and Turkey to name just a few. The concept of both Permaculture founder Bill Mollison and one of the world’s leading experts in Permaculture Design, Geoff Lawton, sees self- replicating PRI education centres being established in every country and climate zone to act as leading examples of what can be achieved by using Permaculture Design principles and methods. 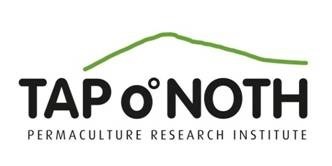 "I am happy to announce the accreditation of Tap o’ Noth Permaculture, our first PRI Master Plan site within the UK and one of the most northerly in our global network of education centres. I look forward to watching this fledgling site grow, providing a great opportunity to demonstrate the necessity and relevance of appropriate design strategies within a testing climate such as that found in northern Scotland." 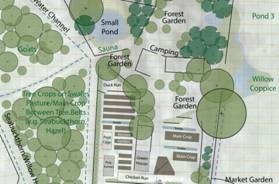 “We are delighted to be an official demonstration site for two of the worlds leading Permaculture organisations and look forward to welcoming people to our site to further their interest in Permaculture Design”. The first PRI accredited Permaculture Design Course (PDC) will take place at Tap o’ Noth Permaculture on the 19th of May 2015, led by experienced UK based teacher Angus Soutar. For more information and to book a place on the course visit www.PRI-TAP.com. 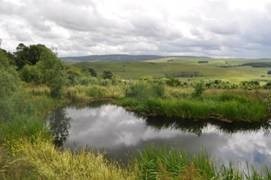 James Reid lives with his family on an 8 acre Permaculture smallholding, demonstration and education site based in rural Aberdeenshire, an area steeped in ancient history and agricultural traditions. Tap o’ Noth Permaculture’s focus is on providing high quality courses in the fields of ecological design and restoration agriculture and creating a demonstrative and dynamic environment for practical, hands-on learning and reskilling in traditional crafts and homesteading techniques. By providing an informative and supportive learning environment Tap o’ Noth hopes to inspire and grow a healthy understanding and respect for sustainable land use, encouraging individuals and communities to gain the necessary skills and knowledge to make responsible, ethical and ecologically sound decisions within their own lives. This entry was posted in What's New! and tagged Aberdeenshire, accredited, PDC, Permaculture Design Course, permaculture institute, PRI site, Tap o’ Noth, UK. Bookmark the permalink.